2010년은 좋은 해였던만큼 2011년 더 많은 졸은 일들이 벌어졌으면 하는 바램입니다. Kim Tae-Won is a composer? 어느날 갑자기, 김태원이 예능프로에 등장했다. 80년대 한국락을 이끌었던 시나위의 신대철, 백두산의 김도균과 함께 3대 기타리스트로 불리던 그룹 부활의 기타리스트 김태원. 그가 ‘국민할매’라는 별명으로 각광받기 시작한 것! 긴머리에 선글라스, 딱 달라붙는 가죽옷, 비쩍 마른 몸매까지- 김태원이 지금까지 고수해온 락커로서의 트레이드마크조차 이제는 ‘국민할매’를 더 돋보이게 할 뿐인데! One day, Kim Tae-Won suddenly appears in TV variety show. 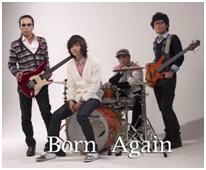 Kim Tae-Won, one of Korea’s three biggest guitarist in the 1980’s together with Sin Dae-Chul of Sinawee and Kim Do-Gyun of Baekdusan. He’s been in the spotlight ever since he’s got the nickname National Grandmother. 어느덧 김태원하면 국민할매라는 별명이 제일 먼저 떠오르는 예능만능시대가 돼버린 지금, ‘비와 당신의 이야기’, ‘마지막 콘서트’, ‘네버엔딩스토리’ 같은 누구나 한번쯤 흥얼거렸을 당대의 히트곡들을 만든 사람이 김태원이라는 사실을 아는지? 대마초 구속, 두 번의 수감생활, 잦은 멤버교체와 결별 등 파란만장한 음악인생을 살아오면서도 25년 가까이 락 그룹 ‘부활’이라는 이름을 지켜낸 ‘기타리스트 김태원’. 하지만 그의 비운의 삶의 궤적은 이미 국민할매라는 우스꽝스러운 별명 뒤로 사라져 가고 있었다. 그래서 이야기하려고 한다. 김태원의 웃음 뒤에 눈물로 얼룩진 기타의 역사를. These days, the first thing that comes to mind when one hears the name Kim Tae-Won is the nickname National Grandmother. 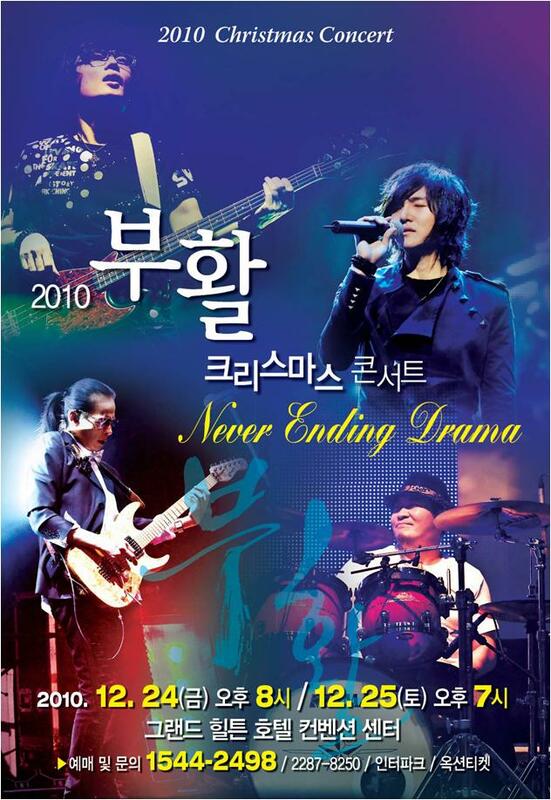 When the songs “The Story of You and the Rain” (비와 당신의 이야기), “The Last Concert” -“Reminiscence III” (마지막 콘서트 or 회상 III), “Never Ending Story” were so popular in Korea and everybody was humming it, did they know that he was the person who wrote all of those hit songs? His dark history, drugs, the time he spent behind the bars, the frequent changes of Boohwal’s vocalist, breakups – with this background, Kim Tae-Won has been the key-keeper of Boohwal for 25 years in such tumultuous music life. But all of those unfortunate trace in his life story is starting to disappear along with the funny nickname as National Grandma. That’s why we want to tell his story. The history behind the funny Kim Tae-Won told by his guitar that’s stained with tears. 친구들의 따돌림과 외로움 속에서 자란 김태원의 소년시절부터 최근까지의 이야기를 사실감있게 담아낼 이 드라마는 ‘비와 당신의 이야기’, ‘회상 Ⅲ(마지막 콘서트)’ ‘사랑할수록’ 등 지금까지도 사랑받는 부활의 노래들이 만들어지는 과정이 김태원의 고된 음악여정과 맞물려 등장한다. 그리고 이 과정에서 1980년대 부활의 결성과정부터 김태원이 마주친 당대 음악인들의 모습이 새롭게 그려진다. 시나위의 전설적인 기타리스트 신대철, 레드제플린의 노래를 한국에서 유일무이하게 소화할 수 있다고 평가받는 락커 김종서, 그리고 우리나라 최고의 보컬리스트로 꼽히는 이승철까지! 그들이 함께 써나갔던 80년대 음악사의 일면을 보여줌으로써 최근의 가요계에서 점차 사라져가는 듯한 음악적 감수성을 드라마 속에 담아내고자 한다. This drama tells the story of Kim Tae-Won, who grew up in loneliness behind the shadow, from the time he was a young boy to his recent story (the drama is set from 1970’s to sometime around 2003). It tells the background behind the songs “The Story of You and the Rain,” “Reminiscence III”, and “The More I Love,” to sum the arduous story of Kim Tae-Won and his passion in music. In the process, it also describes the musicians he encounters from the 1980’s when Boohwal was formed. 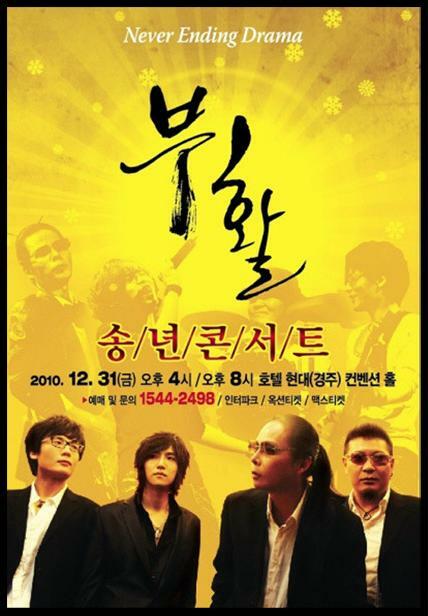 The legendary guitarist of Sinawee – Sin Dae-Cheol, rocker Kim Jong-Seo who was praised to be the only singer in Korea to carry Led Zeppelin’s songs, and Lee Seung-Cheol who is in the list of Korea’s top singers. 김태원의 청춘음악수난사, 방황하는 청춘을 위한 아름다운 노래 하나! Miserable teenage Kim Tae-Won’s music, a beautiful song for rebellious youth! 기타로 세상의 왕이 되리라 마음먹고 락의 세계에 뛰어들었지만 열등감에 젖어 대마초와 수감생활, 알코올 중독, 동료의 배신과 죽음 등 삶이 가져다줄 수 있는 모든 역경을 맛봐야 했던 김태원의 청춘음악수난사를 리얼하게 담아낼 드라마 <락락락>. 하지만 그의 상처 많은 기타인생이 피워낸 꽃같은 음악처럼, 끊임없는 좌절과 실패를 반복하는 우리의 청춘 역시 되돌아보면 흥얼거릴 수 있는 아름다운 노랫말 하나가 되길 바라는 마음으로 이 드라마를 바친다. Be the King of the World with a Guitar! Kim Tae-Won, the best on the Northern part of Han River. 못생긴 얼굴과 낮은 학교성적, 게다가 어디 하나 잘난 재주가 없어 친구들의 따돌림과 가족들의 구박을 받아야했던 어린 태원. 이런 태원에게 삼류지방악사로 생계를 전전하는 삼촌은 말한다. Unattractive look and low grades in school, on top of that he wasn’t particularly good at anything. 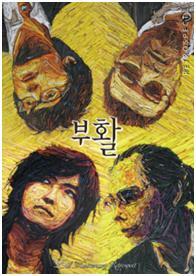 Young Kim Tae-Won was an outsider among his peers and family. His uncle, who was a third-rate local guitarist, told him to be the king of the world with a guitar. 그때부터 태원은 형 기타를 몰래 훔쳐서 레드제플린 음악을 따라치기 시작한다. 형의 괴롭힘과 친구들의 무관심 속에서 기타연습에만 몰두하고 몇 개월이 지난 학교소풍날, 마침내 태원은 자기를 무시하던 친구들과 선생님들 앞에서 놀랄만한 기타연주를 선보이고 기립박수를 받게 된다. 왕이 된다는 기분을 태어나 처음으로 느껴본 태원, 그때 태원은 생의 목표를 정한다. 최고의 기타리스트가 되겠다고! That’s how Kim Tae-Won started to sneak into his brother’s room and tried to imitate Led Zeppelin’s music on it. His brother would bully him and his friends were not the least interested, Kim Tae-Won diligently drawn himself into guitar practice until the day for school picnic. That day, in front of friends and teachers who used to ignore him, he played his guitar wonderfully and received a long applause from them. He felt as if he were a king for the first time in his life, setting his aim in life. He will become the best guitarist! 하지만 기타 좀 친다는 락의 고수들은 한둘이 아니었다. 강남의 지미 핸드릭스와의 기타 배틀에서 이긴 태원이 우쭐해있을 무렵, 그때 태원 앞에 절대 꺽을 수 없는 신의 기타리스트가 나타난 것! 바로 시나위의 기타리스트이자 락의 전설 신중현의 아들인 신대철. 태원은 신대철의 기타에 대적하기 위해 최고의 보컬을 찾아헤매고, 그때 김종서를 만난다. 하지만 종서가 선택한 사람은 신대철. 또 한 번의 열패감을 맛보게 된 태원은 신대철의 기타를 이기는 길은 곡을 연주하는 게 아니라 곡을 만드는 길이라 결심하고, 그런 태원 앞에 동네 후배 이승철이 나타나는데! But just with such guitar skills, he’s not really that special among the people who does rock for living. He was walking on clouds after winning a guitar battle against the “Jimmy Hendrix of Gangnam (Southern part of Han River),” but then he bumped into a “guitar god” he couldn’t pass! 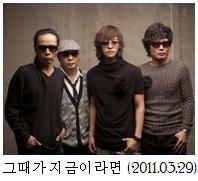 Sinawee’s guitarist who is also the son of Korea’s rock legend Son Jung-Hyeon, Sin Dae-Cheol. 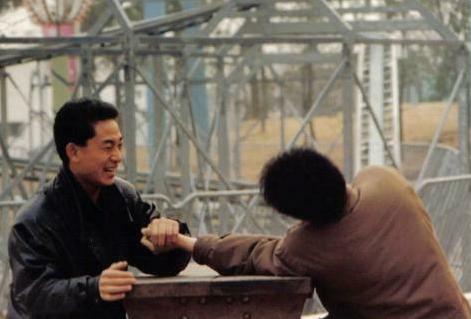 To beat him, Kim Tae-Won looked around to find a great vocalist for his band, which led him to meet Kim Jong Seo. But Kim Jong-Seo chose Sin Dae-Cheol over him. Once again, he felt lost. This defeat led him to think that the way to beat Sin Dae-Cheol’s guitar skills is not by beating him in music performance but to compose a great song. That’s when Lee Seung-Cheol appeared before him. 이승철을 보컬로 영입하고 만든 부활 1집. ‘희야’라는 노래가 대박을 터뜨리면서 성공궤도에 올라선 태원. 하지만 태원이 숨겨둔 비장의 노래는 바로 첫사랑 수연과의 가슴 아픈 사랑이야기를 담은 자작곡 ‘비와 당신의 이야기’. 태원을 해바라기처럼 지켜보던 여자친구 현주는 그 노래에 담긴 사연을 알고 큰 상처를 안은 채 태원을 떠난다. 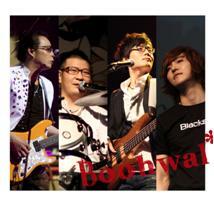 After Lee Seung-Cheol joining the band, Boohwal released its first album. 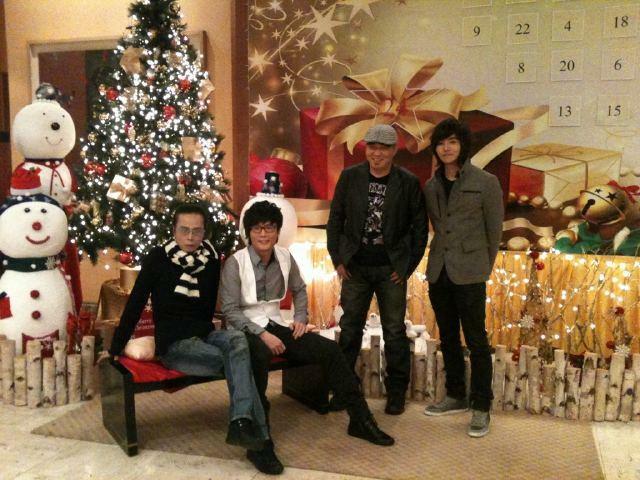 They made a big hit with “Heeya” and Tae-Won was on track for success. But one of the trump song in the album, “The Story of You and the Rain” was based on his painful memory of his first love. Realizing the fact, the loving girlfriend Hyeonju left Tae-Won’s side. It was another hardship for Tae-Won, to lose someone whose been faithfully standing by his side. Meanwhile, Lee Seung-Cheol was receiving all the spotlight instead of Boohwal. Realizing that he couldn’t become “the best,” he was captivated in illusion..
Kim Tae-Won appeared as cameo on the last episode of the Mini Drama. 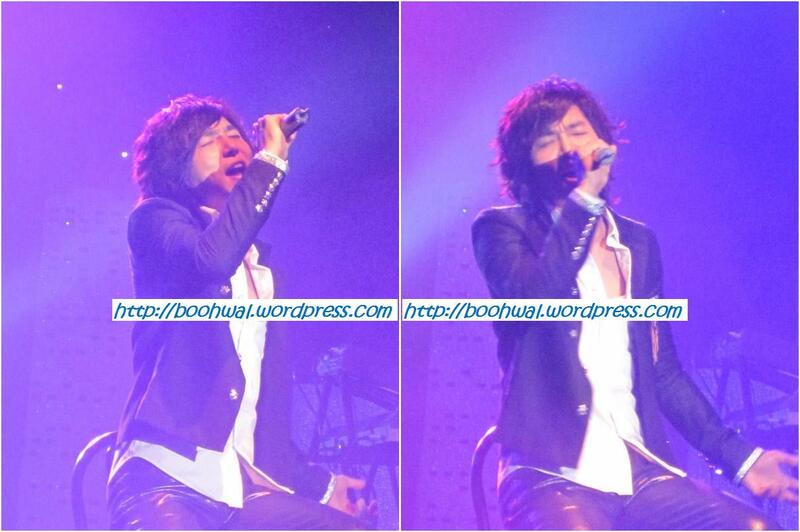 Introducing himself as a third-rate guitarist before Kim Tae-Won (No Min-Woo’s character). 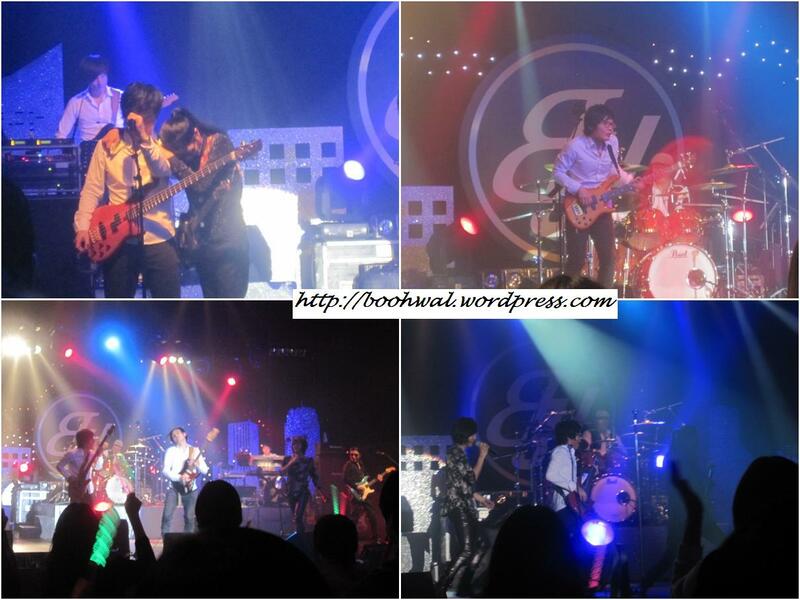 The drama ended with a cheer to all bands in Korea. 태원을 늘 해바라기처럼 지켜보는 여자친구. 태원의 애인이자 팬클럽 회장을 자처하는 깜찍발랄 캐릭터. 태원이 작곡한 <회상Ⅲ>는 이런 그녀를 위해 만든 노래. The girlfriend who always watches Kim Tae-Won like a sunflower. A sweet girlfriend character who also considers herself as Kim Tae-Won’s fanclub leader. 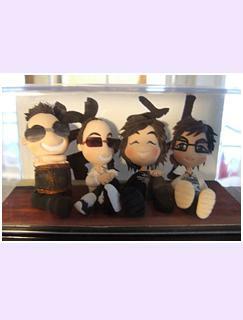 The song “Reminiscence III” was composed by Kim Tae-Won for her. 태원의 첫사랑. 가녀리고 청순한 외모로 고등학생 태원의 마음을 한번에 사로잡는 여인. 하지만 동네 조직폭력배들의 위협으로 태원과의 관계가 위태로워지자 갑자기 태원 곁을 떠나버린다. <비와 당신의 이야기>는 첫사랑을 위해 태원이 바친 노래. Kim Tae-Won’s first love. 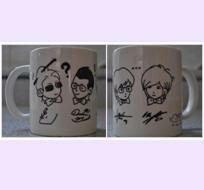 He fell in love at the first sight with her slender appearance and innocent look. But she left him after an incident involving the local gang which put their relationship in danger. 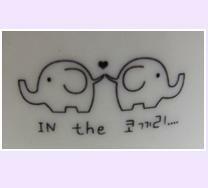 Kim Tae-Won composed the song “Story of You and the Rain” (비와 당신의 이야기) for her. 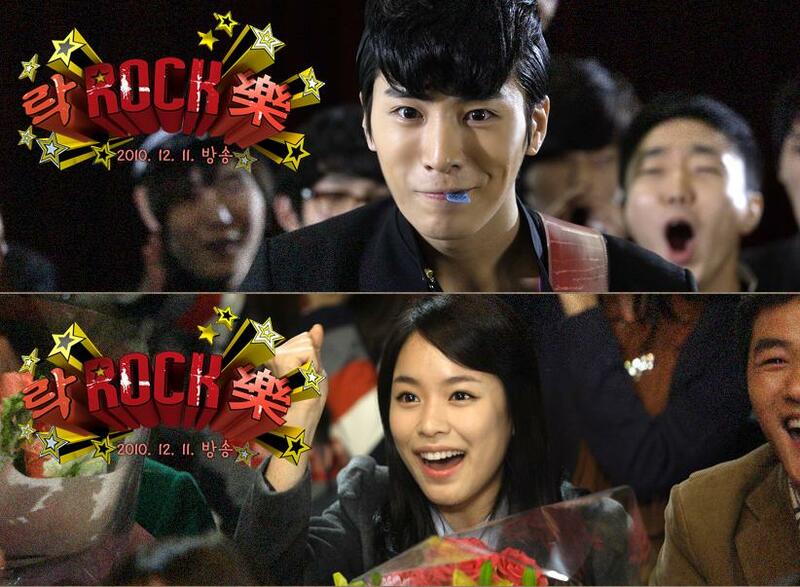 ——-Up to here, the description above was translated from KBS Mini Drama “Rock Rock Rock” official homepage. From here on, the cast of “Rock Rock Rock”, and the actual character they play. Boohwal member from 1986-1987 before he left for solo career. 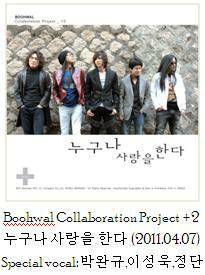 They reunited again to record Boohwal’s 8th album in 2002, but was separated again immediately after. 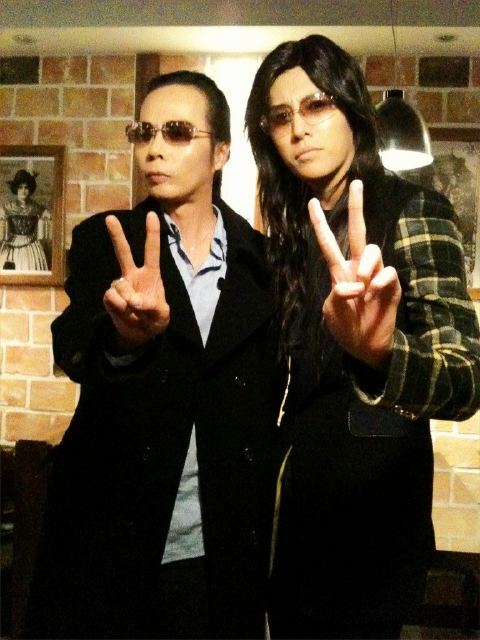 Together with Kim Jong-Seo, Lee Tae-Yun was a member of The End. 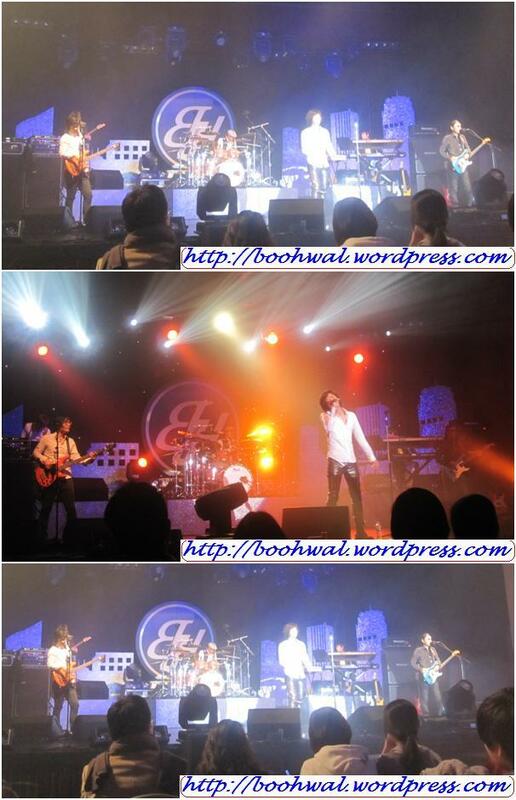 After the former left and the band was renamed into Boohwal, he left following a dispute with Kim Tae-Won. 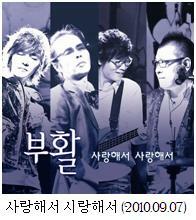 Lee Tae-Yun joined Korea’s legendary singer Jo Yong Pil’s band “The Great Birth (위대한 탄생) and he became Korea’s legendary bassist. 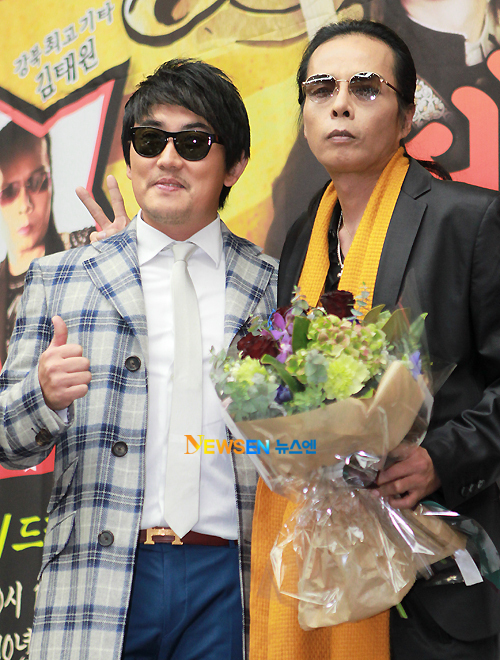 After leaving Boohwal, he resumed good relationship with Kim Tae-Won (they performed together in one of Men’s Qualifications’ episodes). 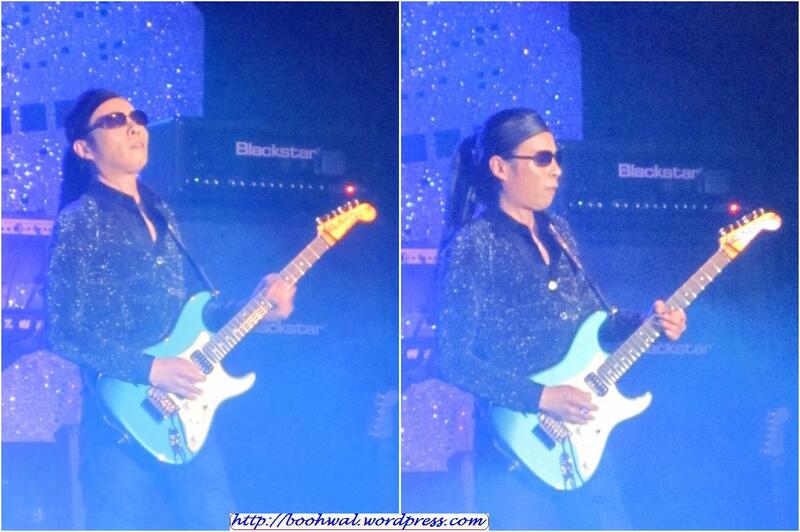 Sin Dae-Cheol, one of Korea’s top three guitarist. The leader and founder of the rock band Sinawee. 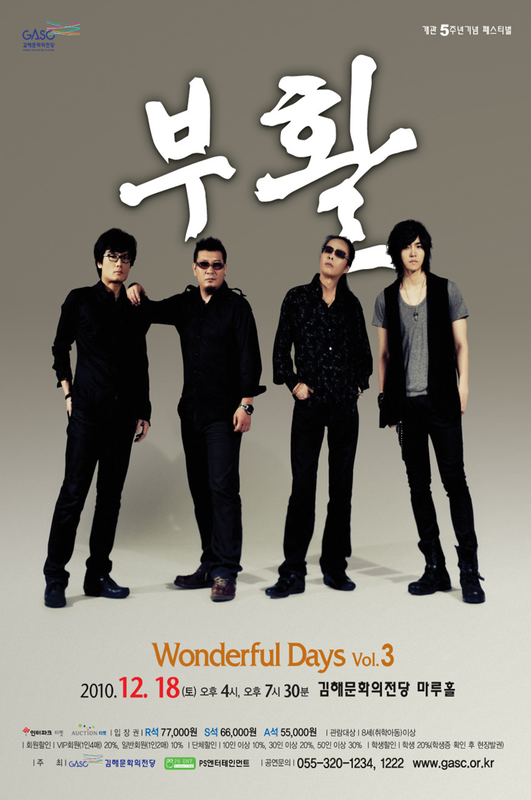 Together with Kim Tae-Won and Kim Do-Gyun (Baekdusan), they collaborated together as project band and produced a rock legend album “Dead or Alive”. 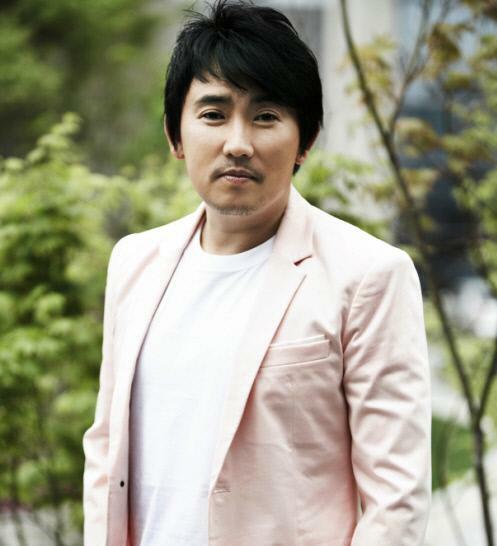 In the drama, he plays the role of Kim Tae-Won’s uncle, who is a third-rate guitarist. In reality, he’s friends with Kim Tae-Won. (look above). 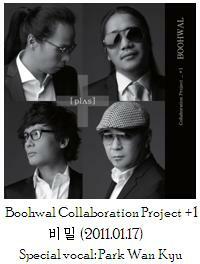 Note: Among the most important figures in Boohwal history is Kim Jegi, who was the vocalist in Boohwal’s third album. I couldn’t find his name on the KBS site, but I’ll continue the search. 위에 케릭터 설명 아니라 실제 부활 역사에 나타난 인물들이었습니다. 하지만 가장 중요한 인물중에 故김재기 씨 인데 kbs 사이트에 텔렌트 사진이 안 올라 있네요. 찾는대로 올릴 예정입니다. The picture on the right was Kim Jegi (left) and Kim Tae-Won (right), taken in 1993.